How should you handle your out of control mail? Is your playroom a pigsty? 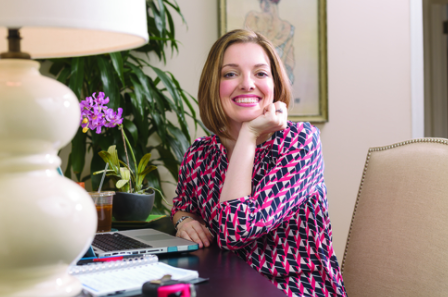 Anna Bauer of SortedByAnna.com has seen it all and gives her game plan for getting your space in shape. Wonder what Betsy takes to work with her? Everything you need to get a designer look fits in her toolkit. She will take you on an item-by-item inventory of the things she loves and why she never heads to a job site without them. Have you been naughty or nice with your designs? Betsy is back at it--sharing her list of design don'ts. Steer clear of these things if you are going for a high-end look. Some things are just never okay. Why doesn't Betsy have any love for loveseats? What's wrong with decals? Listen up and find out why she feels slipcovers deserve a smackdown. Surprisingly enough, selecting furnishings made from fabrics is one of the hardest parts of my job. Learn the tricks to picking the perfect textiles every time on this episode.